Many patients experience apprehension and anxiety when it comes to a trip to the dentist. At Guildford Smiles Dentistry in Surrey, we offer dental sedation to help make your appointment as stress-free as possible. Whether you have had a negative experience in the past or you experience unexplained dental anxiety, stressful dental appointments can make getting the dental treatment you need difficult. 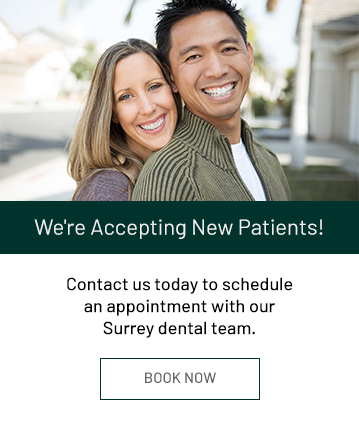 At Guildford Smiles Dentistry, we provide sedation dentistry as a solution for patients who need help relaxing for their dental appointments. With sedation, seeking the dental treatment necessary to maintain your oral health can be a stress-free experience. Nitrous oxide, also known as laughing gas, is the mildest form of sedation we offer. We administer nitrous oxide through a small nose mask and control the levels throughout your appointment, making sure you feel comfortable at all times. Because nitrous oxide enters and leaves the body quickly, it is extremely safe, and is appropriate for both adults and children. It will make you feel more relaxed and calm, and may even create feelings of euphoria. Patients with dental anxiety benefit from sedation dentistry because of its ability to relax you during treatment. Our friendly and compassionate team is dedicated to making each dental appointment a positive experience for you. Many of our patients feel at ease after a few appointments because of our caring team and gentle touch. For patients with moderate to extreme dental anxiety, we offer oral conscious sedation to make your appointments less stressful. Oral conscious sedation utilizes prescription medication we administer in our office. It is long-lasting enough to complete most dental procedures. During oral conscious sedation, you will feel calm and at ease. Many of our patients even doze off during treatment! While you will be conscious during treatment, you will be unable to drive and will need someone to take you home afterwards. Oral conscious sedation is safe for most healthy patients. We will perform a full medical history prior to your treatment to avoid any drug interactions. Drs. Seddik and Salman are experienced and certified in sedation dentistry, so you can rest assured that you are in good hands while you are with us.